The newest chapter of the iconic fight franchise marks a triumphant return to the series’ mature presentation and a reinvention of its classic 2D fighting mechanic. Driven by an all new graphics engine, the fan favorite Fatality is back and presented in more gory detail than ever before. In addition, Mortal Kombat introduces a number of new game-play features including tag team and the deepest story mode of any fighting game. Players can choose from an extensive lineup of the game’s iconic warriors and challenge their friends in traditional 1 vs. 1 matches, or take on several new game modes. 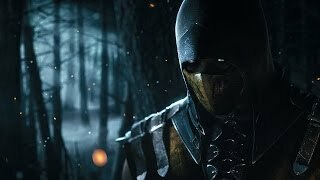 6/2/2014: Mortal Kombat X will be available on PC, PS3, PS4, Xbox 360, and Xbox One in 2015.